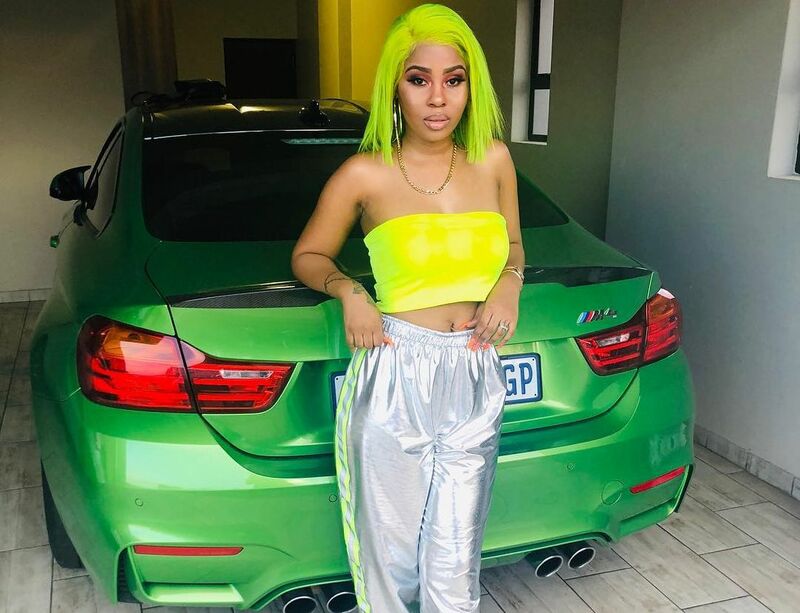 Love & Hip Hop SA – SEE the trendiest ladies in RAP. One of the biggest perk of being a successful rapper is the amount of attention you receive from female fans. While some rappers have taken advantage of that, some are unashamedly smitten about their significant others. It’s a fact that being married to an emcee is not easy, however it sure has its perks. She is about to walk down the aisle this weekend and exchange nuptials to the love of her life Kwesta Dakar. The 28-year-old Yolanda Mvelase is wife goals! The beaut’s Insta feed is booming with the latest in fashion and we can’t help but double-tap every time she posts. Aside from marrying one of Mzansi’s most talented star, Yonela knows how to add levels to her fabulousness! The new mom has been burning the internet with her unique sense of style since her early days on live television. LootLove can make anything look good! From killer sneakers and elegant heels, the beaut is a trendsetter of note. She surely has rubbed off her positive stylish energy to beau Reason, who also looks dapper every time we run past him. Bianca Naidoo has been largely known through her partners numerous Instagram posts and fans are vibing with her, The beaut who is linked to the award-winning rapper Riky Rick has a son with the hit maker. Her style is subtle and as it complements her chilled and laid back nature. All eyes are on AKA’s baby mama DJ Zinhle who is undeniably one of the hottest female deejays in Mzansi. The stunner has been taking a few fashion risks that have turned out to be her signature looks. Her jaw-dropping style turns heads from dressing down to looking glam. Need we say more about stylist and yummy mummy Tshepi Vundla? The local stunner who is JR Bogopa’s baby mama sure knows how to step out in style by modelling fashionable brands that many would love to own.